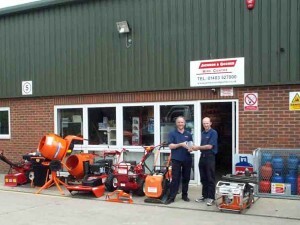 We are a small, family run, Award Winning and Independent Tool Hire Company based in Godalming, Surrey. From here we deliver Tools, Access Equipment and Small Plant to you in an area from Twickenham to Petersfield on the A3 and from Caterham to Slough round the M25, and all places in between. 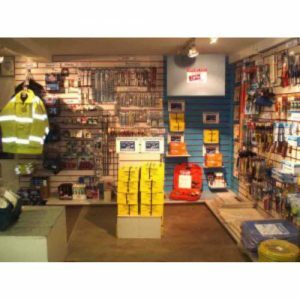 We also sell safety equipment, hand tools and other building essentials that you may need. You can order these online with our “Make an Enquiry” service and for Trade Account Customers we can deliver direct to your building sites or offices. 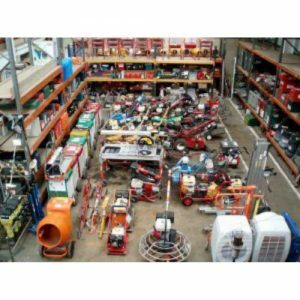 We have built the business up over the last 40 years by offering you, our customers, the opportunity to hire Quality Tools at Value for Money Prices. We don’t pretend to be the cheapest, but we do try to be the BEST – you will still find we are cheaper than the well known “high street” outlets. Many of our customers have been coming to us for years, decades in some cases, and we hope you will do the same. Why not give Mike a ring and see how we can help you 01483 527000. If you are looking for some help sourcing the right equipment for your task then we will do our very best to assist. We want to hire you the right tools for your job so you will be happy to recommend us to your friends and colleagues. You may find some useful tips on our “Advice and help” pages. 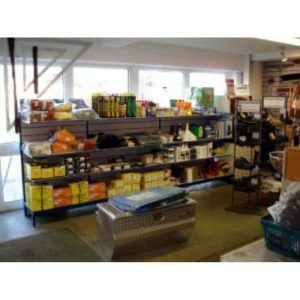 You can collect from us, or we can deliver to you for a small additional charge, and payment can be done over the phone or in the shop with a debit or credit card. Many of our customers have been coming back to us year after year. OK, I know that’s more than 7 reasons, my colleagues just kept coming up with more and more reasons why you should give us a try.